What’s it like working with a PR firm? It’s a marathon, not a 5K. So you’re considering bringing on a PR firm to help you raise awareness, change a behavior, or promote a product or service. Great! Here’s what you can expect as you set out on a mutually beneficial partnership. Let’s start with the basics – what is public relations? According to the Public Relations Society of America, “Public relations is a strategic communication process that builds mutually beneficial relationships between organizations and their publics.” A key part of this definition is “building relationships” and what’s implied is that building a relationship is something that happens over time. In other words, PR doesn’t happen overnight. The survey is also a good time for us to become more intimately familiar with your brand and its tone. From there, we come up with a proposal, including the various communication channels we will use, whether that’s media relations (which is what many think of when they hear the term PR), social media, existing communication channels like a newsletter, events, or others. Once you’ve signed off on the proposal, then we can get to work! It bears repeating that PR – especially media relations – doesn’t happen overnight. For example, if you really want your company mentioned in a consumer magazine, the lead time is often six months out…maybe even more. In other words, you might not see the fruits of our labors right away. 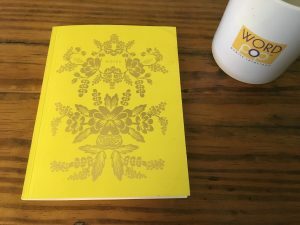 Even if an editor bites right away, the story might not be printed for several weeks or months. We could pitch a great story idea, but if the editor doesn’t know us yet, they might not open up that email. It takes time to build relationships, and that’s why PR isn’t a 50-yard dash. As proof of this, we’ve worked with some of our clients for 10 years, achieving desirable results for them again and again – whether that’s media placement or an event that exceeds ROI expectations. If you’re ready to take the first step in your PR journey, book an appointment with our Lead Publicist, April. 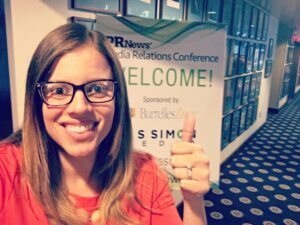 April and I attended the PRNews’s Media Relations Conference in DC in December and the timing couldn’t have been better as we were in full-steam-ahead planning mode for 2017. The speakers sent my brain gears into the spin cycle and I left with a fresh perspective on our clients and plans for the year ahead. The conference was loaded with gems of inspiration, but I’ve streamlined to one top takeaway from each panel. Feel free to skip around to the panels you find most relevant and enjoy! We have a whole “Pop Talk” white paper about visual communication, but here’s one key point from Meagan Phelan, executive director of the science press package for the American Association for the Advancement of Science (AAAS): think in gifs. What kind of a gif could you create that would encapsulate your main point or demonstrate the product you’re selling? Director, Brand PR, Luxury & Lifestyle Brands for Hilton Worldwide John Walls recommended hiring an influencer the way you would a photographer, videographer or writer. Be “crystal clear” in your “ask”. Ask for a specific number of tweets and hashtags, spell out your expectation for geotagging, etc. Then, because you’ve already done your homework and found the influencer to be a strong fit for your brand, give them creative breathing room. EVP of BurrellesLuce Johna Burke shared the following wisdom cookie: “Facebook Live is like a party: well-planned but embracing spontaneity.” Because it’s live, something will stray from the plan, but the plan is essential, too. Make sure audio is audible, visuals don’t show something weird sticking out of someone’s head, and interviewees are prepped to be concise. Head Writer/Producer for Funny or Die, Washington D.C. and Former White House Speechwriter David Litt transitioned from writing for President Obama writing political humor for a top comedy brand. His PR takeaway is an oldie but goodie: identify your key demographics, then meet them on the platforms they’re consuming. He illustrated this point with the Obamacare rollout and explained that that’s President Obama ended up on Between Two Ferns with Zach Galifianakis. He was meeting the key (young) demographic that he wanted to sign up for health coverage on a platform they were already consuming (Funny Or Die). An opportunity to have my work evaluated by top-tier media in front of PR peers – oh goodie! April covered this session in her blog, PR Practices to Keep and Ditch in 2017, but one key lesson is the concept of “altruism power” as stated by pitching expert Michael Smart of Michael Smart PR. First, write your pitch. Then edit, identifying “I” statements or your organization the focus of your sentences. Edit so that your sentences are focused on the recipient of the email and how your organization can provide value to them. You can’t make someone on the opposite side of the spectrum agree with you, but you can persuade someone to move a degree closer to agreement. According to Eric Wohlschleger, Director of Media Relations for the American Petroleum Institute, the secret is to educate, engage and finally persuade by focusing in on the three yellow circles in the middle, the “aware” group (see diagram below). You aren’t going to change a red to a green, but you can make a light yellow a bit darker. Record your CEO in a mock interview and make them watch it. If they have an interview coming up, speak with them about their goals for the interview. This may help disguise the fact that you’re helping them prepare. The learnings are still sinking in and I’m thankful for all the notes in my 2017 WordPop notebook (a WordPop tradition). If you want to learn more about any aspect of the day’s presentations, don’t hesitate to reach out to me, Julia@wordpoppr.com or April, april@wordpoppr.com! We were tasked with the wonderful opportunity to promote Hera Venture Summit 2016, co-hosted by client Dr. Silvia Mah and business accelerator Hera Labs. 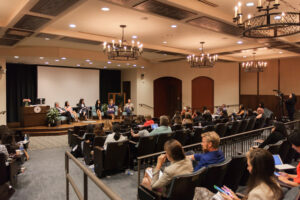 The event aimed at connecting female founders and funders from across the globe took place at University of San Diego. The one-day summit included tips and best practices from distinguished speakers like “godmother of Silicon Valley” Trish Costello, a binational panel discussion with startup experts from the United States and Mexico, and a gamified Shark Tank-like pitch contest, among other activities. Browse this list of questions to determine whether it’s the right time to add public relations to your communications arsenal. Who are your audiences, i.e. “publics,” i.e. primary and secondary stakeholders? Patients, clients, employees, customers, NGOs, etc. You can even get more detailed, for example, clients aged 40-50 who live in an urban environment and make upwards of 150K annually. What do you want to accomplish? In other words, what are your goals in launching a public relations effort? What does “PR” mean to you? What does success look like? Do you have spokespeople in mind that are ready to speak with media or willing to attend a media training workshop? If applicable, do you have a Spanish-speaking spokesperson? Do you have a PR budget in mind? We can help you determine what is realistic based on your goals. Which publications would you love to be in? Local? Regional? National? Are your target audiences reading these publications? What do you want your audiences to know about your business? What makes your company newsworthy? What are you doing that no other company in your industry is doing? What makes now a good time for you to add PR? Are you adding a new business segment? Are you moving to a new location? Launching a new product? You don’t need a concrete answer to each of these questions before starting a conversation with WordPop. We can help you refine your answers and determine whether it’s time to enhance your business with a public relation strategy. Important side note: The above definition of public relations refers to a “communication process.” We understand that many companies are eager to see results but public relations is indeed a process of building relationships over time. We see the best results for clients after six months of effort.